In Victorian Cambridge, a young math lecturer with a stutter and a big imagination met a family with three daughters. The middle daughter, Alice, became his muse… and because of that, Alice in Wonderland was written. 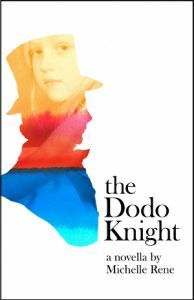 Before the book was published, Lewis Carroll (whose real name was Charles Dodgson) and Alice’s family had a falling out. No one really knows what happened. 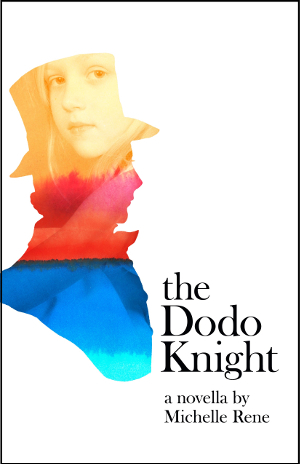 In The Dodo Knight, Michelle Rene brings Charles Dodgson and Alice to life, and imagines an explanation for the heart-breaking end of their friendship. This beautiful story will transport you to Victorian England and make you wish Alice could be your friend, too. And you can pre-order it now! If you have a Nook, don’t worry – the Nook edition is in process at BN.com, and will be available for pre-order soon! Also, we sell all our ebooks DRM-free, so you can buy the book from any retailer and transfer it onto any ereader once any necessary file format conversions are done. To get an ePub that would work directly on a Nook without any conversions, you could buy your copy from GumRoad, Kobo, or Smashwords. Release day is April 10, 2019. And oh yes, we did time the pre-order to coincide with Lewis Carroll’s birthday. He was born on January 27, 1832. But if you buy the book on any other day, that’s fine – you’re just celebrating his unbirthday! Tattoo is a 2018 Foreword INDIES Finalist!